Developing skills as a makeup artist is a never ending process that pays off big time. Find out how a makeup artist certification can give your salary boost! The makeup artist industry has reached a pivotal point in time. It’s become divided between the amateurs and professionals. 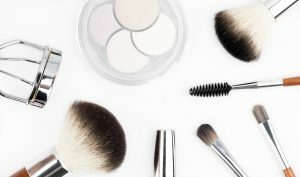 Those that flock to local gigs or produce online makeup tutorials versus those that have found placement in larger industries such as fashion, film, or broadcasting. Specialization increases the wage gap (current median: $17.34/hr).